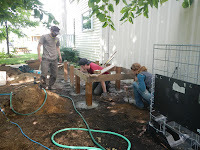 As the RE Patch community garden continues to evolve behind The RE Store, community members get to see forward-thinking practices constructed and installed before their eyes. 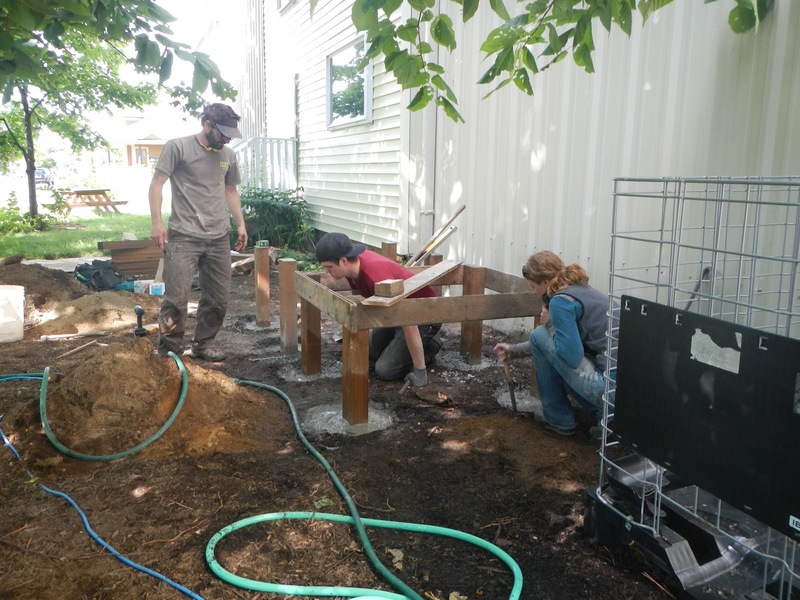 Just last month, another exciting feature was added to the education garden: a 500-gallon gravity-fed rainwater harvesting system. 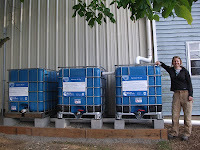 Installed as a demonstration project by the City of Bellingham, these two lovely 250-gallon food-grade liquid storage tanks were diverted from the waste stream and recycled for new life as a second rainwater harvesting system for the garden. This project beautifully demonstrates both water AND resource conservation. With the base construction help of builder and friend Ant Chaplin, the system now sits atop two engineered bases. RE Sources and the City co-hosted a workshop series entitled: Rainwater Harvesting & Smart Use, to illuminate the permitting and installation process to the public. 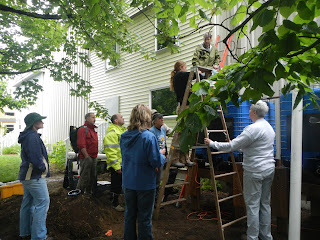 This system was successfully constructed and installed by attendees of this workshop… in the rain! 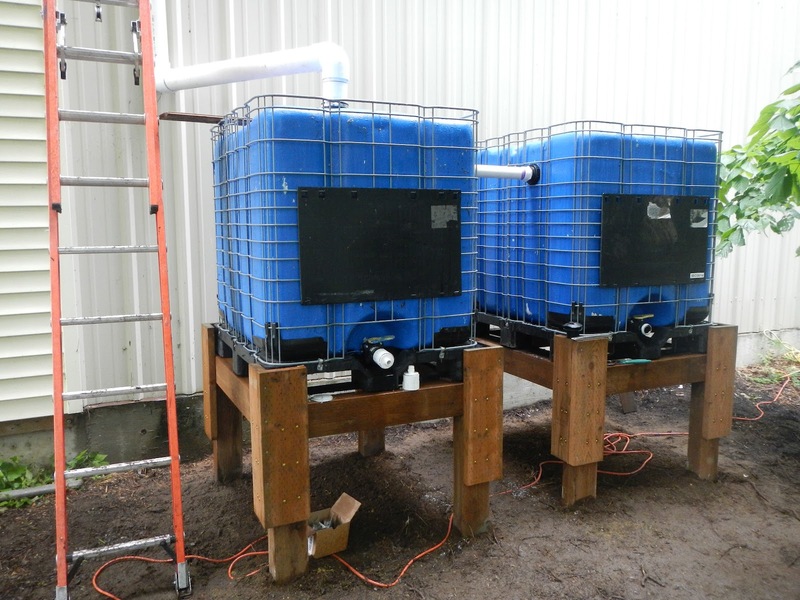 The City of Bellingham Public Works Department operates a water conservation program, focused on more efficient and source-appropriate use of our water resources. The program provides educational materials, resources, and incentives to promote water conservation. 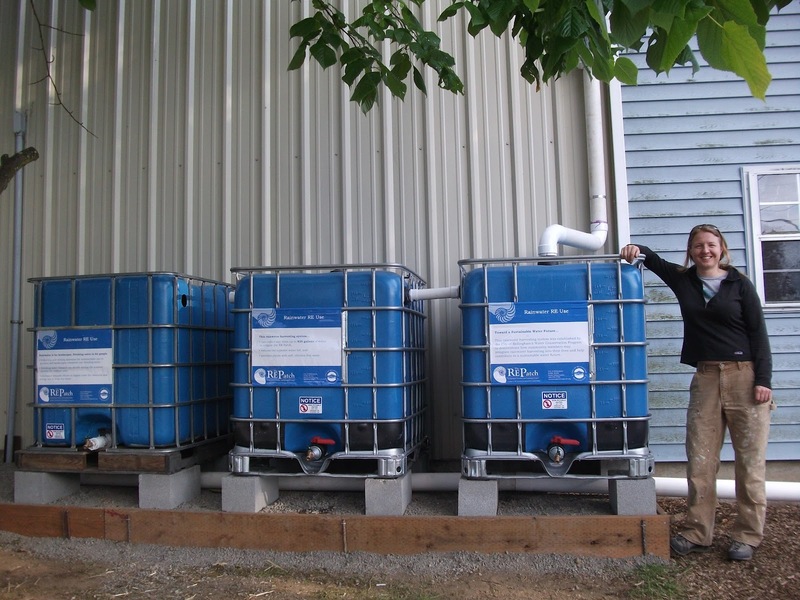 Demonstration projects like these are intended to model the process and potential of harvesting larger quantities of rainwater to help reduce drinking water demand during the drier months of the year. 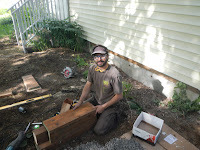 The new system, plus our three-cistern, 825-gallon rainwater catchment system on the North side of the garden (a different type of demonstration project, also installed by the City’s Water Conservation Program), allows the RE Patch to subsist entirely on rainwater. 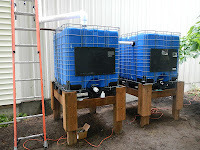 Not only does utilizing rain water eliminate the garden’s impact on our potable water supply, it’s free, plants prefer it, and our marine ecosystems prefer it (when rain falls, it runs down impervious surfaces, collects pollution, and deposits it into our bodies of water – in this case, Bellingham Bay. Catching and watering plants with rainwater mitigates that pollution by filtering the rainwater through plants and organic matter). 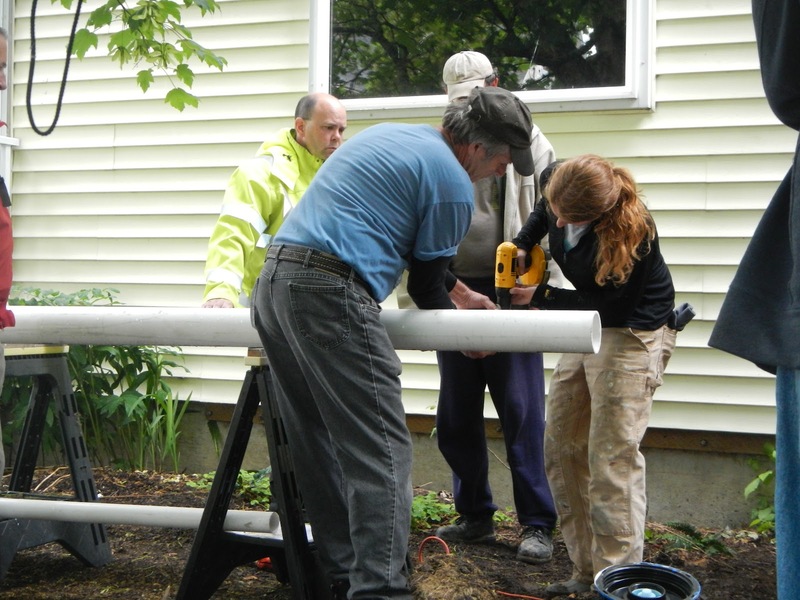 Collaborative government and non-profit projects such as these help steer the way toward more widely adopted sustainable practices in our community. 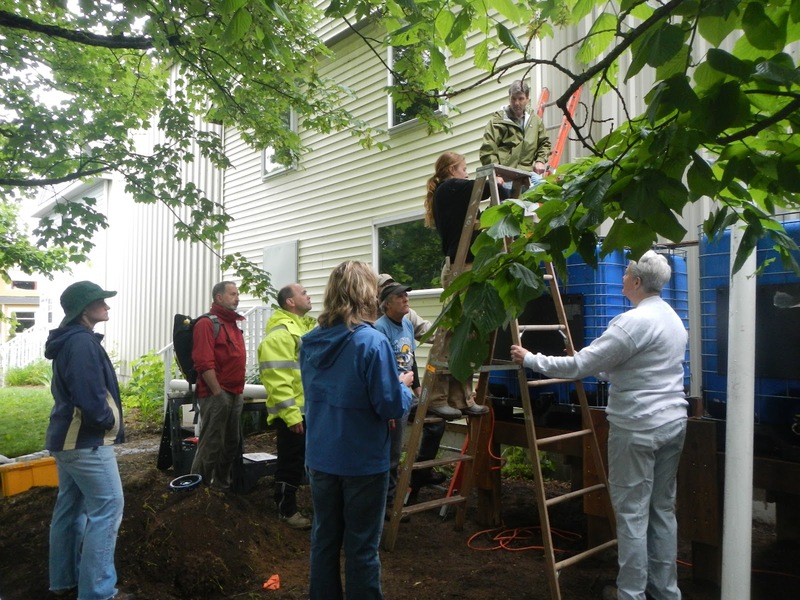 RE Sources & the City of Bellingham will continue to co-host workshops to provide information to the public on rainwater system sizing, design considerations, and permitting requirements to conserve and protect our community's valuable water resources. 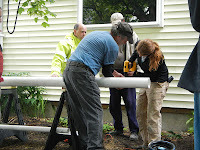 Don't miss the sundry upcoming workshops during September's Water Week in Whatcom County. RE Sources will be partnering with the City to host a Rain Barrel Construction & Installation workshop, an Efficient Irrigation with Collected Rainwater workshop, and a Restoration Work Party at Little Squalicum Park. Contact HannahC@re-sources.org or call (360) 733.8307 to find out more. Giaonhan247 chuyên dịch vụ nhận order pandora úc từ các trang web mua hàng mỹ uy tín cũng như giải đáp mua hàng trên amazon có đảm bảo không uy tín như thế nào.